Expecting twins? Or Baby No.2 is on the way? Either way, you will need a double stroller (some call it twin stroller) for days you need to get outdoor with your double bundles of joy. There are many types of double stroller - there's the side-by-side, the in-line, the jogger and last but not least, the umbrella. Different parents have different requirements when it comes to looking for the best double stroller. With our double stroller reviews, you can certainly find the best double stroller that will suit your lifestyle and budget. 2. 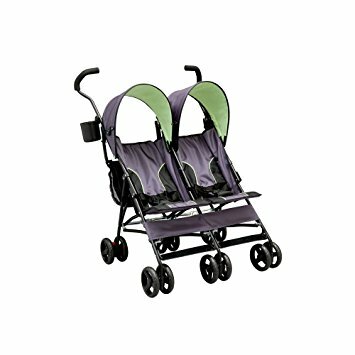 What is the best type of double stroller? 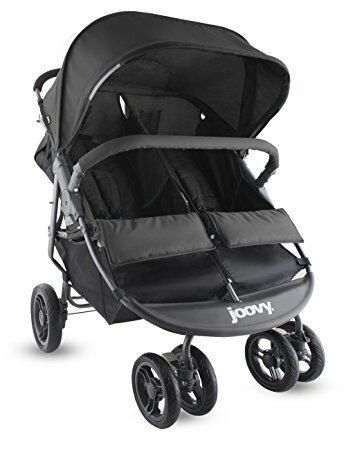 Side-by-side is the most common type of double strollers and out of the many ﻿different﻿ brands available in the market, we recommend the Joovy Scooter X2 Double Stroller to be the best side-by-side double stroller. You do not have to worry about this side-by-side not being able to fit through doors. Trust us, we share the same frustration if you have to fold your stroller up each time you go through a door. With the Joovy Scooter X2, you can easily pass through standard doorways without any problem as it has a narrow design of just 30” width (yes, it does look wider than that but that’s what makes its design so amazing!) 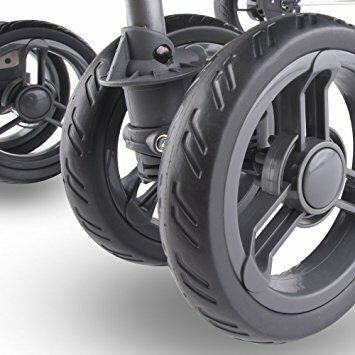 and the larger sealed bearing front and back wheels ensure easy and smooth manoeuvrability. What we also love about the Joovy Scooter X2 is that each seat can recline and its footrest adjustable independently of one another. This means you can have one sleeping child reclined to a near flat position while the other widely awake one can sit up comfortably in their own seats. 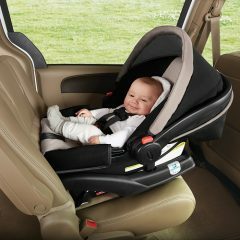 It is also equipped with a removable bumper bar and 5-point harnesses to keep your children safe and snug. Your needs as a parent are well taken care of too with its large storage basket and two cup holders and two zippered pockets for your wallets, snacks and phones etc. Foldings take just seconds with its one hand fold feature which many parents love it for. However, it is a bit on the heavier side at 32 pounds which despite of it, does not reflect on its maximum weigh ﻿capacity﻿. We are slightly disappointed that it can only hold children up to 90 pounds (45 pounds each side) when others can easily sustain up to 50 pounds. Also, it cannot accommodate a car seat to become a travel system (we recommend this if you are looking for one). 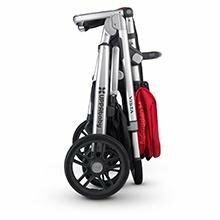 Nonetheless, we cannot deny that the Joovy Scooter X2 is very sturdy and is extremely stable (which is made possible because of its double front wheels) and the fact that it is able to fit through any doorway is certainly a major plus point in our books. 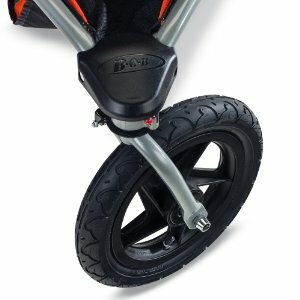 At such a reasonable price, it is no wonder that the Joovy Scooter X2 is long loved by many parents! It certainly is the best double stroller for twins! UPPAbaby’s Vista stroller has always been a top rated double stroller and its 2017 VISTA collection is even better. 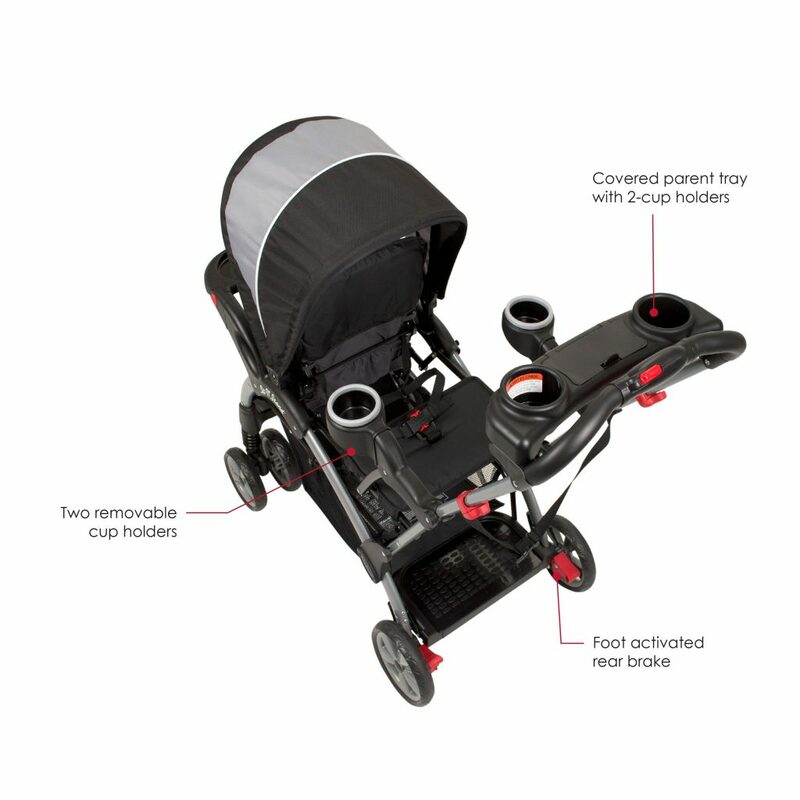 This in-line stroller grows with your family as it can accommodate up to three children. Whilst this is to be expected with double strollers nowadays, the UPPAbaby Vista ups its game by having a versatile design that allows for multiple configurations but still stroll like a single. This means that the manoeuvrability of this stroller will not be compromised regardless of the add-ons you put to it to accommodate to your growing family. 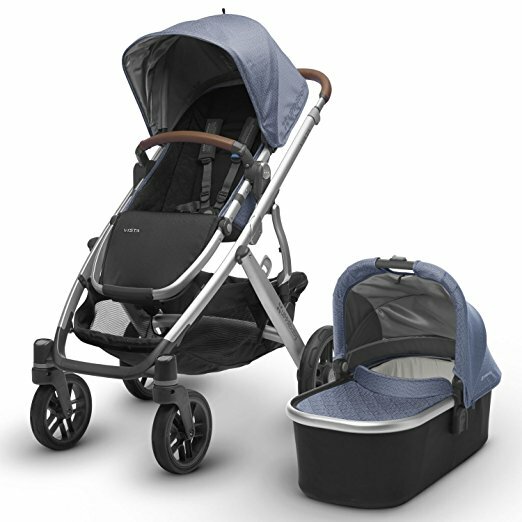 The 2017 Vista includes 1 bassinet and 1 toddler seat, both of which come with its own extendable SPF50+ canopy sunshade that also acts as a rain and bug shield. Depending on your situation, you can convert it to a combination that suits you as it can fit 2 MESA infant car seats, 2﻿﻿ bassinets or 2 seats. 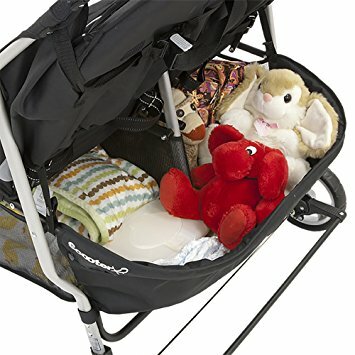 This makes it an excellent choice for those having twins a﻿﻿nd want to use a stroller during the newborn stage as not every inline stroller can accommodate double bassinets. UPPAbaby’s bassinet has been approved for overnight sleeping so you can be assured that your newborn is comfortable lying in the perforated mattress pad that has a vented base and canopy for added breathability. The toddler seat has also been improved to now a 180-degree recline and you can do this easily with just one hand. 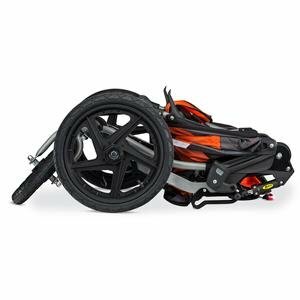 While it is not an all-terrain stroller, its shock-absorbing front and rear suspension wheels enables it to glide smoothly on uneven grounds and the one-step fold makes it super easy to manage. 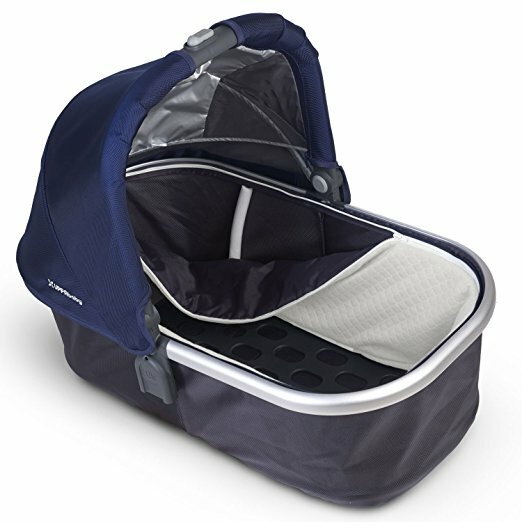 It also has the biggest storage basket with the largest ﻿maximum﻿ allowable weight (30 pounds!) so far in all the strollers that we have reviewed. While the UPPAbaby Vista is on the higher ﻿price﻿ point range, we think it is worth the investment given the durable materials it employs and the versatility it offers. ﻿It is no doubt one of﻿ the best inline double stroller for newborn and toddler. If you have children of different ages, a sit-and-stand double stroller will be most suitable and this particular one from Baby Trend ticks ﻿all﻿ our boxes for it to be called the best double stroller for infant and toddler. Not only that, it can fit up to two infant car seats (all Baby Trend’s will fit, selected models from other brands) to create a travel system. The front seat comes with a 5-point child restraint safety harness (the best of its kind!) as well as a large removable shade canopy. 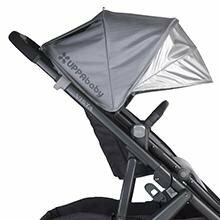 This means you do not have to shell out extra bucks to buy a canopy separately to keep the sun out from your little one! The child tray in front can be swing away to allow even older children easy access to the front seat. 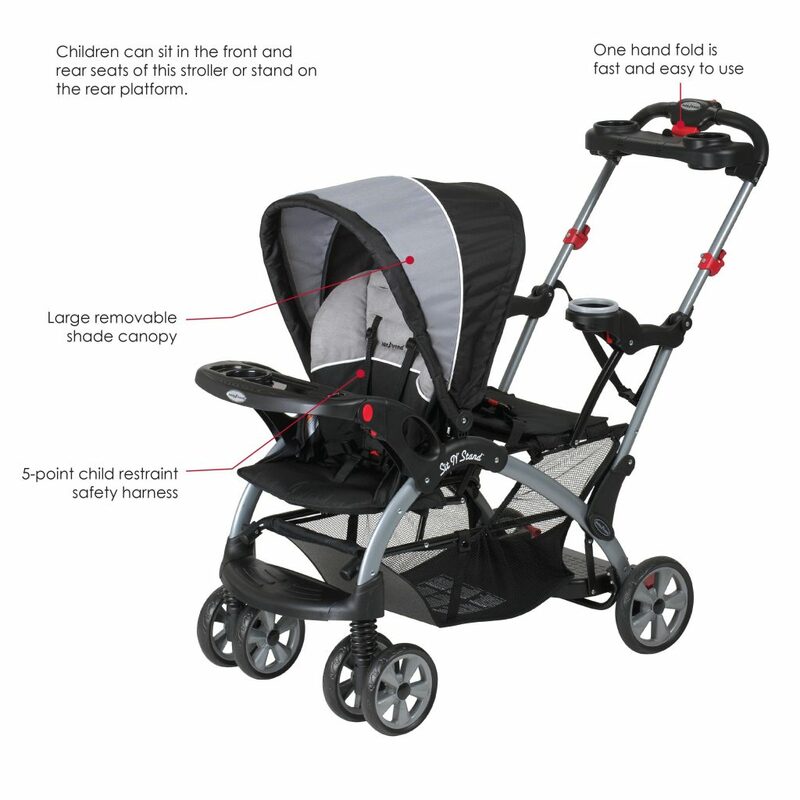 Weight wise, it is light at 25 pounds and this can be considered as very light if compared to other double strollers. Parents like how fast and easy it can be folded with just one hand into a compact size to fit into their car ﻿and﻿ commended its easy manoeuvrability (no trouble going through doors unlike some side-by-side!) with front swivel wheels and foot activated rear parking brakes. Parents’ needs are well taken care of in this S﻿﻿it N Sta﻿﻿nd too with the large storage basket provided at the bottom, as ﻿well﻿ as a parent tray with covered storage and cupholders which we ﻿appreciate﻿ as most other brands require you to purchase these separately. 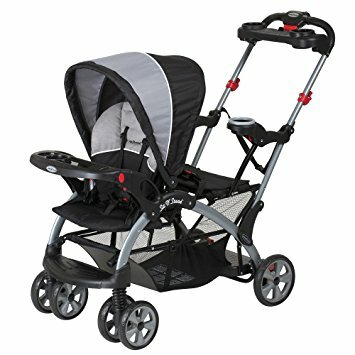 If you are one that loves the outdoor and would like to go jogging regularly with your kids, or if you ﻿are﻿ looking for a sturdy all-terrain stroller that will sustain long walks with your children, we recommend getting the BOB 2016 Revolution FLEX Duallie Stroller due to its great manoeuvrability and impressive quality. 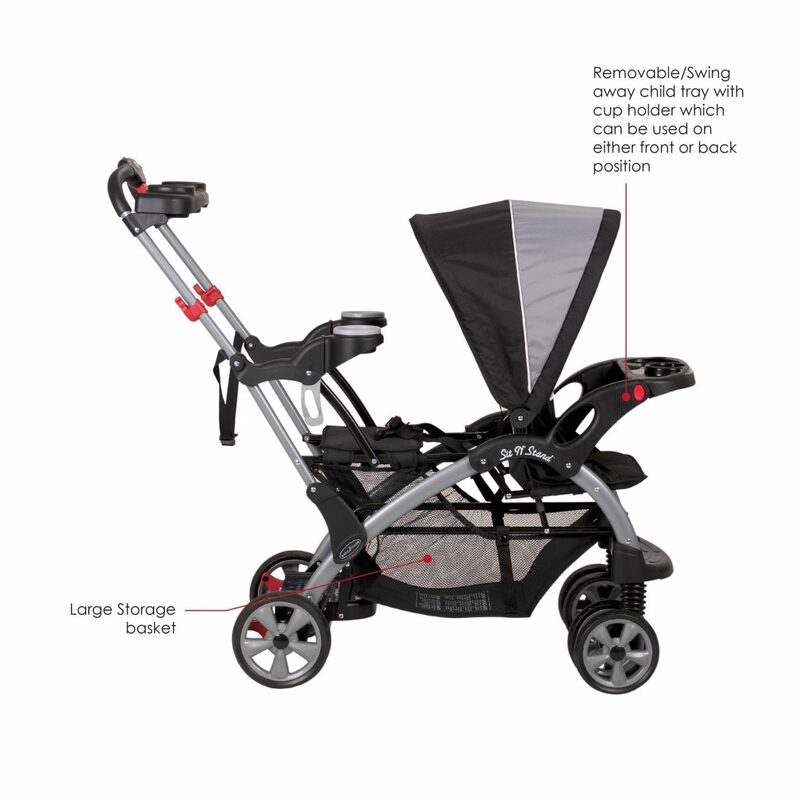 This 3-wheel double jogger stroller has a state-of-the-art adjustable suspension system that takes bumps in stride to ensure your children have a smooth and comfortable ride. 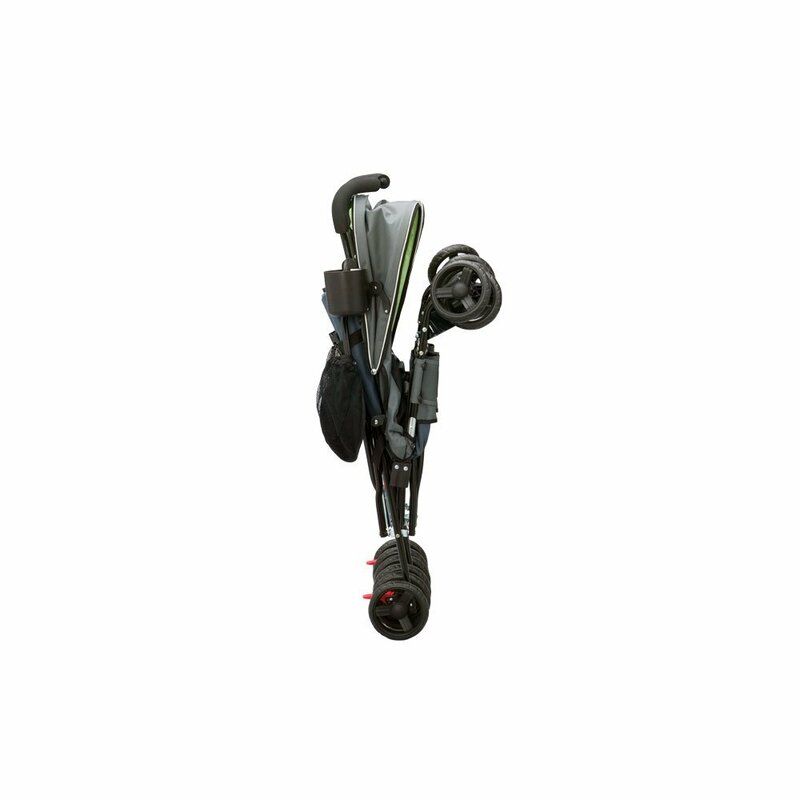 The front wheel swivels to allow for easy manoeuvrability through parks, city streets and other tight spots but also locks for added stability when jogging or taking on rough terrains. It also has an adjustable padded handlebar with 9 positions so you can be assured you will find the perfect fit for your height. We like how it uses high-impact polymer wheels so that it can offer a smoother ride for your children whether it’s on boardwalks, beaches or trails. 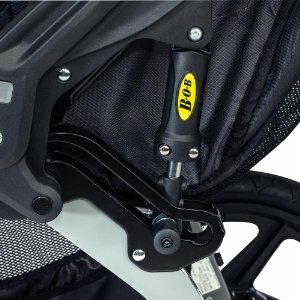 Keep in mind that the BOB Revolution FLEX Duallie is more suitable for older twins as it cannot accept two car seats or bassinets at once. 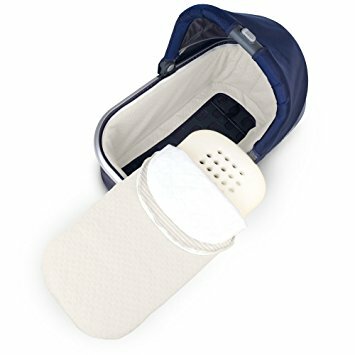 It does, however, accommodate one infant car seat (this or any other major brand car seat) but you do have to purchase the car ﻿seat﻿ and an adapter for it separately to put together this travel system arrangement. We also note that it requires two steps to fold it for storage (some offers a one-step fold) but it does fold up rather compactly so it fits in most cars. 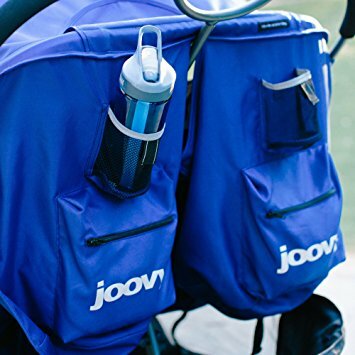 This double jogger stroller is slightly on the heavy side (33 pounds) but it can hold children up to 50 pounds in each seat so that is a trade-off many parents are happy to give as you can use it for the long run. 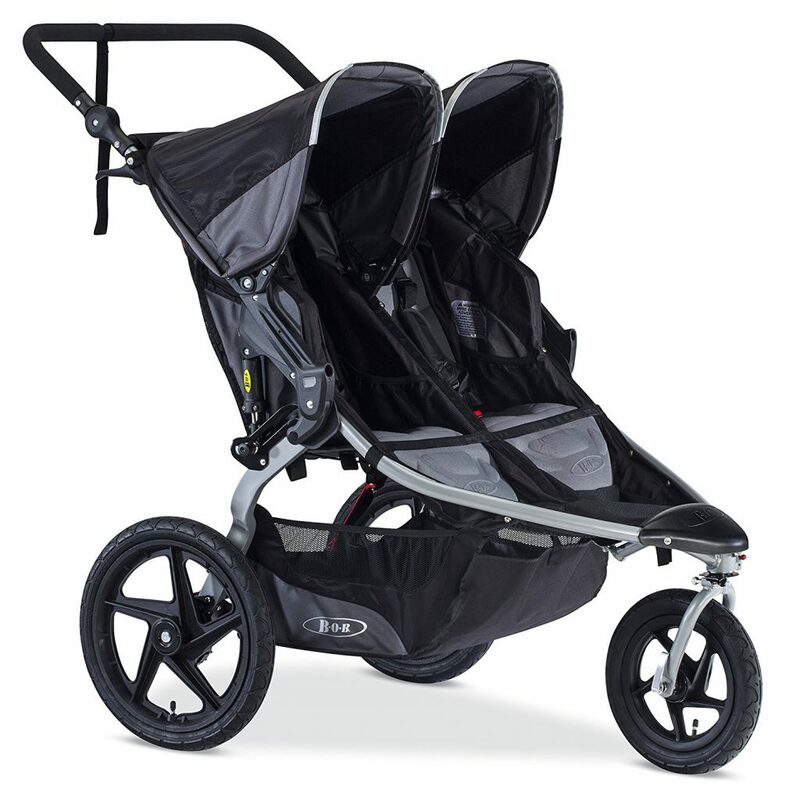 We think it deserves the title of best double jogging stroller, especially so for a combination of infant and toddler. We try hard to look for a double stroller that is inexpensive and affordable, yet doesn’t compromise on quality and functionality as we understand not everyone can afford the price point of most double strollers. So imagine our delight when we found the Delta Children LX Side by Side Tandem Umbrella Stroller which has everything you need for a double stroller, in good quality AND a price point that will not break your bank (we couldn’t believe our eyes too when we see how much it is)! The Delta Children LX ticks all our boxes – lightweight at just 25 pounds, it even takes care of the most common problem with side-by-side, that is, fitting through doorways which is why it is designed to fit into any standard 30” doorway. 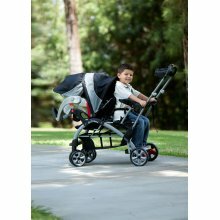 We are also pleased to find that it has 360-degree shock absorbing front wheels which to be frank, we did not expect to find in strollers of such price point. This makes it a dream to manoeuvre. Not to forget, it is the best compact double stroller as it folds to a compact size for easy handling and storage. Keep in mind though that the lightweight frame of this stroller means it has limited weigh capacity compare to other heavier ones. It only recommends use of up to 35 pounds in each seat so make sure you adhere to this to keep your little one safe. 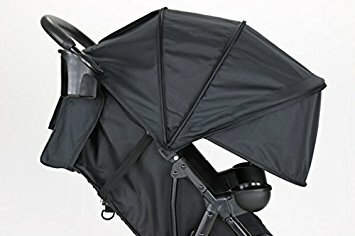 Without a doubt, the Delta Children LX Side by Side Tandem Umbrella Stroller is the best value for budget double stroller. 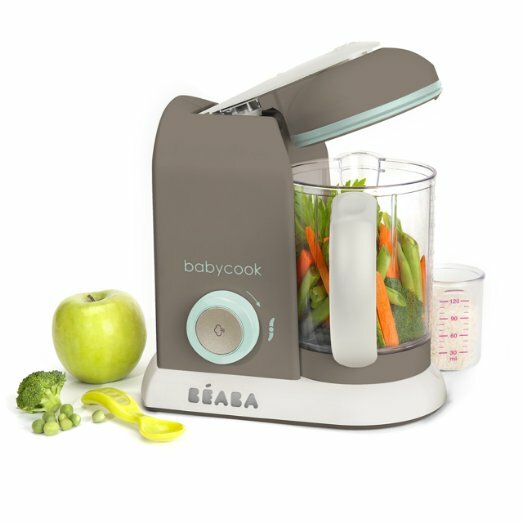 And coming from Delta, a renowned children brand trusted by millions worldwide, you have nothing to worry about. We reviewed the most value on budget double stroller so we cannot ignore the other end of the spectrum - the luxury double stroller. The ﻿﻿﻿﻿﻿Bugaboo﻿﻿ Donkey Base Stroller﻿﻿﻿ is definitely one luxury splurge but it's one that we think is worth it considering the many configurations it offers. 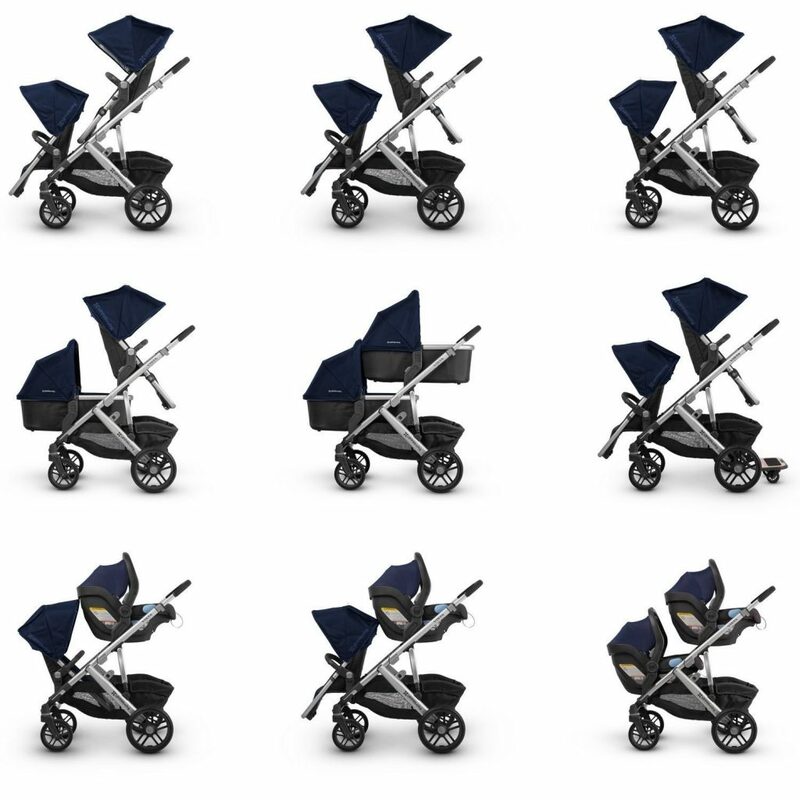 And when it comes to quality, Bugaboo never ﻿disappoints﻿. This is one stroller that grows and flows with your family. 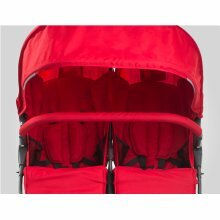 There are not many strollers that offer a bassinet AND seat combination (most are either side-by-side or tandem seating) which is what makes the Bugaboo Donkey one of the top rated double strollers for infant and toddler. 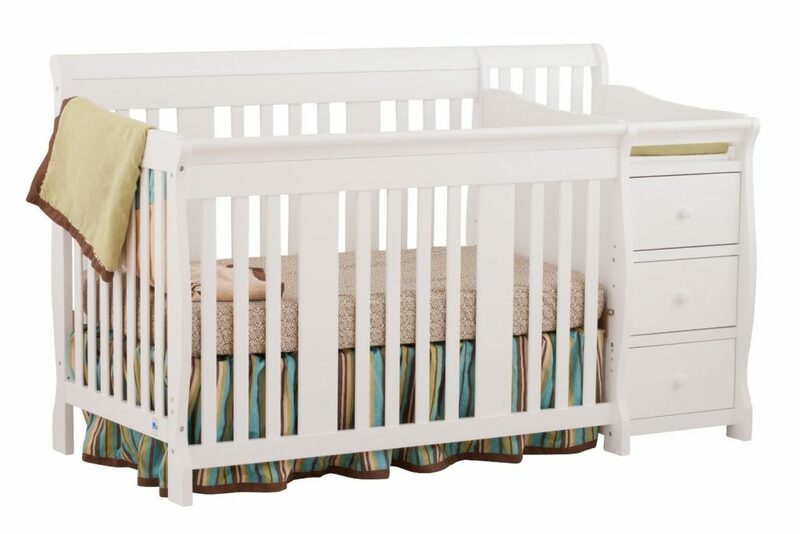 It comes with a bassinet that can hold up to 20 pounds and a seat for toddler weighing up to 37.5 pounds so if you already have a toddler with a newborn on the way, the existing configuration will be perfect for you. Now, we don't say it has the most configurations without a reason. If you are having twins, the Bugaboo Donkey can be converted to accommodate two bassinets for your infants (you do have to purchase an additional bassinet separately) and once they grow older, simply replace them with the seats. For those who have a bigger budget, the Bugaboo Donkey Base will certainly not disappoint you. It cannot be any lighter than this – weighing at just 16 pounds, the ZOE Umbrella XL2 Deluxe Double Stroller is the lightest double stroller we can find among other brands. This super lightweight stroller is easy to handle and quick to fold, making it the best stroller for airline travel and ﻿public﻿ transportation. Do not think that just because it is so light the sturdiness of this stroller will be compromised. 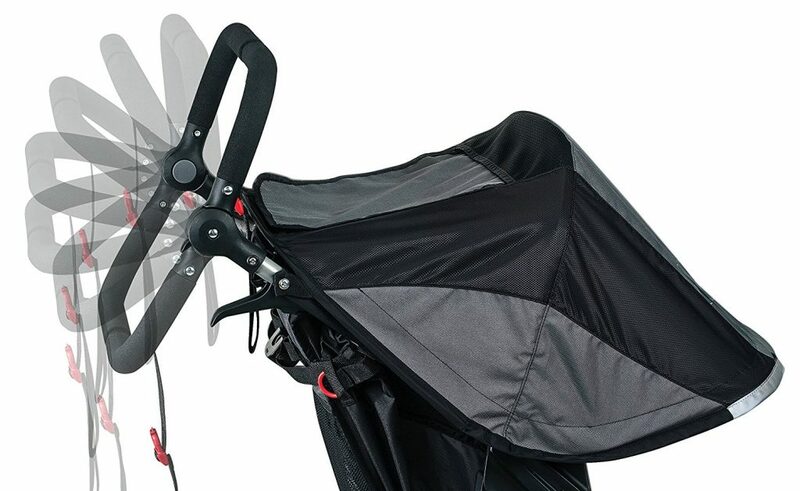 The ZOE Umbrella XL2 has an aluminium frame that can hold children up to 50 pounds on EACH seat without any problems. In fact, ZOE is so confident with its durability that it offers lifetime warranty and guarantee on its wheels so that you can get them fixed or replaced if they break. Available in 10 colours for you to choose from, this umbrella double stroller has every feature you can think and need of. 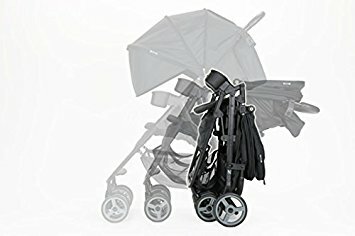 While some strollers require you to buy add-ons or other necessities such as canopy separately, we are pleased to find that the ZOE Umbrella XL2 comes with 4-panel canopies, two seat comfort pads, two child cup holders, one child snack tray, one parent cup holder and one padded front double belly bar all for FREE! 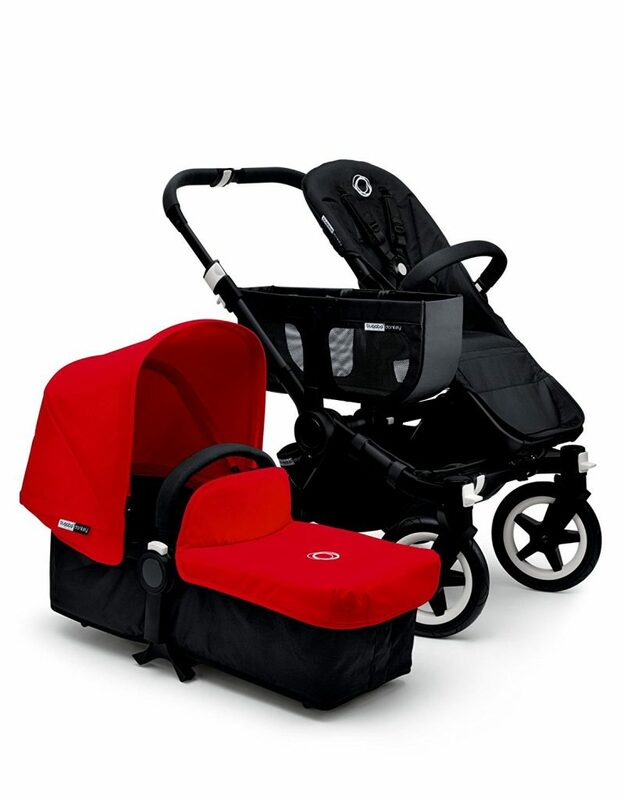 Do keep in mind that the minimum recommended age for this double stroller is 6 months or when babies are ready to sit directly in the seats, so if you’re looking for one that fits newborns, this will not suit (you may consider getting an inline double stroller). 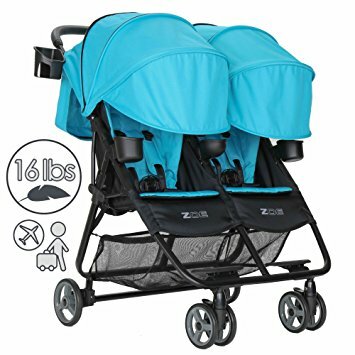 However, if you are﻿ ﻿looking for a double stroller for travel, daily urban use that involves public transportation such as subways, buses or taxis, the ZOE XL2 stroller is the perfect choice! - Do you have twins or do you have a toddler and infant? If it’s the former, you will need similar seating arrangements for both babies as a sit and stand style ﻿clearly﻿ isn’t going to work. - How would you normally use your stroller? Is it just for your morning coffee run or it will be for ﻿your﻿ daily jogs in the park? A double jogger stroller will be ﻿more﻿ suitable if it’s the latter. These are the kind of questions that provide a good starting point before you purchase your double stroller to ensure you find the best of its kind. Once you’ve decided the type, it’s time to look at other features. These are the type whereby you have seats (or bassinets) side by side next to one another. Most of the times, the seats will be front-facing but many would allow parent-facing options nowadays. Side-by-side strollers are generally the easiest to turn and manoeuvre amongst other types but they are also harder to get through narrow alleys and doorways so keep that in mind. In-line (also known as tandem) strollers are the ones with one seat in front of the other. They are usually front-facing (although there are some which offer other seating combination/options) with the back seat usually being slightly higher than the front for better viewing. Keep in mind that ﻿the﻿ seats usually do not recline at the same degree with this kind of strollers so one may have lesser leg room than the other. Regardless of the combination, an in-line stroller usually is harder to turn/manoeuvre as it has a longer body. As you can tell from its name, this is the type of stroller that has one seat in the front and a standing platform at the back. This is more suitable for siblings with an age gap where baby still needs to lie comfortably in the seat but toddler is active and old enough to stand and stroll along. 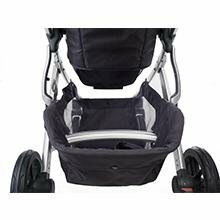 This is probably the ﻿most﻿ compact type among other double strollers as it is generally smaller, hence easier to manoeuvre. These are the most flexible strollers that allow you to use it as a single stroller, or convert into a double or even triple seating stroller. Some even cater to as early as the stage of bassinets, and can handle an older child with a standing platform – really, the combination is endless. 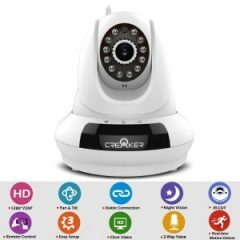 This type is the best if ﻿you﻿ have twins or plan to have children with small age gaps but bear in mind, you will be required to buy the necessary attachments that cater to your needs separately.